Janis Joplin wanted a Benz, and now might be the time for you to think about one, too. Everyone seems to know that the company has made some wonderful classic sports and grand touring cars for more than a century. While many of these machines commanded a premium price when new, some of them now represent terrific values in today’s market. Often overlooked when compared to contemporary Healeys, Triumphs or even Porsches, the cars from Mercedes-Benz represent a rare thing in today’s classic sports and grand touring ranks: a classic car that you can actually use as a daily driver with little or no sacrifice in comfort, safety or reliability. For example, the 230 SL from the ‘60s is every bit as fun as a TR6 or an Austin-Healey 3000. However, instead of a car whose headlights might only work some of the time plus a top that tries its best to keep the rain out, you get a car where everything works: a convertible that acts like a hardtop when it is erected, plus the choice of a manual or automatic gearbox, which is something to think about if you will be driving your classic in heavy traffic. With the more modern examples, you get a car that was—and in some cases still is—a leader in its class. 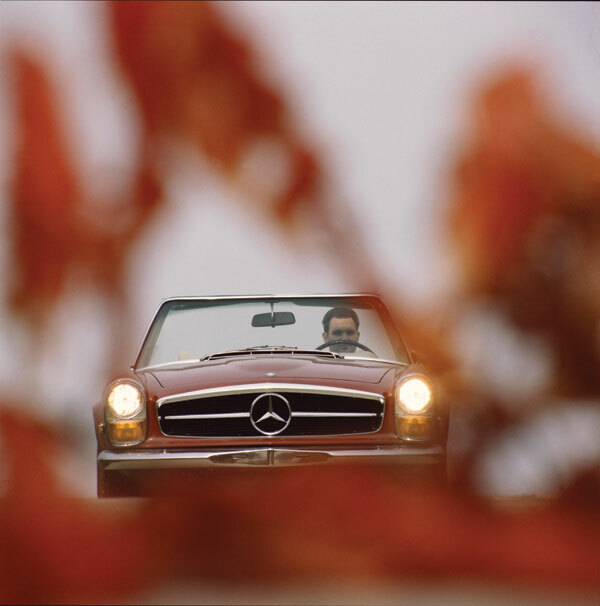 The Mercedes-Benz was not built down to cost, but built up to a higher standard. As an added bonus, the cars we’ll be talking about are quite affordable—most of them cost less than a brand-new Toyota Camry. Never has so little bought so much. Part of the beauty of Mercedes-Benz as a company is that their cars have always seemed to offer something for just about everyone, from convertibles and sports sedans to coupes and wagons. Drivetrains also run the gamut, ranging from inline fours to V12s; those engines have been powered by gasoline or diesel fuel, giving shoppers even more flexibility. The reliability of these models is often the result of their use of many heavy-duty components lifted from the company’s sedans. Even pure sporting cars such as the 300 SL Gullwings use a lot of sedan-sourced suspension pieces. In addition, Mercedes-Benz seems to build every car to last. This means that many hundreds of thousands of miles are the norm, not the exception. And the cars don’t merely endure for that extended time; they successfully maintain the quality and workmanship that they exhibited when they were new. Plus, practically all of the parts for every model built since the 1950s can still be bought new at the local dealer’s parts counter—and the same dealer’s crew knows how to install those parts, too. As a result, there are a lot of very old Mercedes-Benz cars on the road in great condition. Now might be the right time to shop for one. If it sounds to you as if we are hooked on these cars, then you are right. In today’s times of gridlock, slow-moving interstates and an ever-growing concentration of bad drivers, a Mercedes-Benz roadster with a/c, cruise control and a terrific stereo might be just the car you need. Best of all, there are several models that won’t break the bank. We think Janis Joplin was right. We also hope that her prayers were answered and that she ended up getting hers. The W113-chassis Mercedes-Benz SL models are probably the earliest examples of a classic two-seat roadster that can actually function perfectly well as a daily driver. If you need further proof of this, keep your eye out for them the next time you visit Southern California or many Florida beach communities. You will be surprised at how many of these now 30-plus-year-old cars are being used as everyday transportation. The fact that they all have an excellent removable hardtop further increases their usefulness as daily drivers. Add to that the optional Fridgeking air conditioning--a system that actually works--and you have a car that you can use year-round in almost any climate. These cars are also the last ones Mercedes-Benz built that actually look, feel and drive like a sports car. While they are a bit heavier than other classic roadsters, they still handle like sports cars and are more than a match for their peers. They were good enough to be included in a comparison test by Road & Track against the Porsche 911, Jaguar XKE and Chevrolet Corvette--and the Benz actually beat out the Corvette and the E-type. That said, there are a number of things to watch out for when considering the purchase of one of the so-called “pagoda roof” roadsters. The first--as well as the second and third--is rust. While they're not nearly as rust-prone as comparable British or Italian roadsters, these cars do have the ability to become nothing more than oxidized metal held together with Bondo and paint. Here's a good ground rule to use when approaching any 113 roadster: If you can actually see some rust, then there's a good chance there is more extensive structural damage that you can't see. 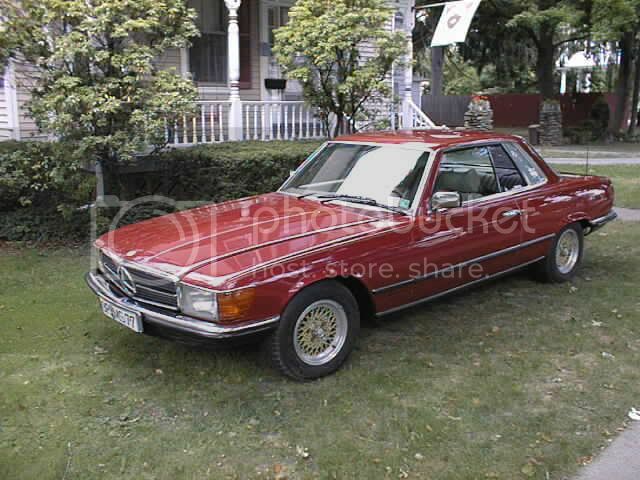 A rusty pagoda roof Mercedes is never a bargain, no matter what the price. It is very easy to spend more than the total cost of a rust-free car on body work alone. There were enough of these cars built that it is easy to find a solid, cancer-free example if you take the time. In addition to visible rust, keep a sharp eye out for extensive body repair, which could signify past rust or collision work. There are a few signs to look for here. First, check the hood, trunk and roof gaps on the body. The gaps should all be perfect, with no variance. These cars were built by Mercedes-Benz to be the finest in the world and represent the best that the company could produce, so any flaws you find in the body are a sure sign of inept work that occurred after the car left the factory. The second inspection is more subtle: Go to the front of the car and look at the chrome trim fitted around the headlights. You will see notches at the 1 and 11 o'clock positions. They should perfectly match the ones on the body. If these notches are not present, then you can be assured that the car has been hit in the front and/or poorly repaired. As far as the rest of the car goes, it's best to take it to a Mercedes-Benz tech for a prepurchase inspection; find one who knows 113 roadsters. There is very little else to check on these cars, but it's best to avoid taking chances--Mercedes-Benz parts can get very expensive. 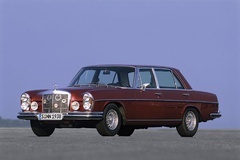 These Benzes represent a terrific and usable classic with none of the headaches common to other cars in their class. If a true classic is what you seek, chances are a 113-chassis roadster will not disappoint. If any car represents a Mercedes-Benz better than the R107-chassis 450 SL and 560 SL roadster models, we are at a loss to find it. During the '70s and even through to today, this is the car that has signified to many people here in the States that its owner has arrived. This comes as no surprise, once you learn that these cars were specifically designed with that goal in mind. From the outset, the 107-chassis SL was a car designed for the American consumer. As a measure of its success, the model was constructed with no major styling changes for almost 20 years. In the age of year-to-year alterations, that was strange news. The only changes during the entire model run had to do with emissions equipment, engine size, air conditioning and radios. This is quite a testament to the success of the design--and to the designers themselves. All this adds up to an automobile that is so well-developed, there are very few problem areas in any of its systems. In fact, these cars were so overbuilt that the Mercedes engineers' nickname for them was Der Panzerwagen (The Tank Car). There are a few problem areas with these vehicles, but a pre-purchase inspection, as with any classic used car, is money well spent. Unlike the earlier SL models, these newer cars do not tend to rust often. In fact, if you find a rusty one, you can rest assured that it has been badly abused. Engines also tend to last practically forever, with numerous stories existing of cars covering more than 500,000 miles and still not requiring any major work. According to the technicians, the key to making the engine last is regular oil changes every 3000 miles. Not doing this will lead to cam lobe wear and require replacement of the cams, which is expensive. Having to rebuild the cylinder head, an even more expensive proposition, is another possibility. The only real trouble spot on these models is the a/c unit on earlier cars. It would probably be a good idea to pass on any one that has inoperable a/c. While it might just need to be refilled with refrigerant, it could also need some extensive work which, on a Mercedes-Benz, can add up quickly. Now, what are they like to drive? Well, if you are looking for a road-burning, incredible handling Porsche killer, these might not be the cars for you. While they look the part, the 107 roadsters are not sports cars; they're more like touring cars thanks to their soft suspensions and complete lack of a manual transmission option. They do have plenty of top-end power, however, and the 560 SL is a fast car with decent handling, somewhat like a Porsche 928 but with more compliant suspension. These 107-chassis cars are terrific cruisers and just the thing for weekend drives out to the country. They have the power to eat up the interstate with abandon and keep you swathed in comfort the entire time. Like the earlier SL models, the 107-chassis's hardtop quickly turns the car into a nice coupe for the winter months, all with no leaks whatsoever. The presence of the hardtop makes owning the SL like getting two cars for the price of one. If driving an incredibly civilized, sporty convertible and a nice European coupe is what you seek, a 107-series SL can be both. 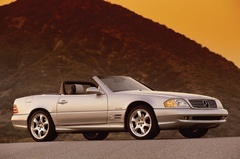 After almost 20 years of production, the Mercedes-Benz SL was getting to be a bit outdated. Thanks to EPA and DOT regulations as well as changing tastes, the 107-series roadster needed a replacement. 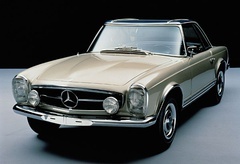 Mercedes-Benz had originally planned to replace the car in the late 1970s, but development of a small sedan, the 190 series, as well as strong continued sales for the convertible pushed back the redesign. Finally, in 1984 a new SL design had been decided upon and development was started. The new 129-chassis car was introduced in 1989 at the Geneva International Auto Show and met with mixed reviews from the press. The tone of the reviews changed the minute reporters got behind the wheel. Mercedes had created a true grand touring supercar, comparable to offerings from Porsche, Ferrari and Aston Martin. These new machines from Mercedes-Benz handled better and went faster than anything the company had ever offered before. In addition, the new car included advances in technology that increased not only performance but economy, safety and driver comfort. Here was the perfect sports touring car for the future. The new model, like the ones of the past, still included both the hard and soft tops, with the soft tops finally being electrically controlled. Like all the previous Mercedes-Benz SL cars, these newer ones are bulletproof mechanically and rarely have any problems. Do keep in mind, though, that these are vastly more technologically advanced than all the earlier roadsters and as they age, some things could become quite costly as they fail. For example, the soft top mechanism is raised and lowered by a microprocessor-controlled hydraulic system that should be fully tested through its entire cycle during any inspection of a car. There are also sensors that monitor road conditions, speed and driving style to make adjustments to the brakes and suspension. This all points to a very complex mechanism. On a positive note, these systems have proved themselves over a number of years to be utterly reliable. If the car checks out during the prepurchase inspection, it should be trouble-free. Like the earlier SL-class cars, these demand regular 3000-mile oil changes if the engine is to stay healthy. 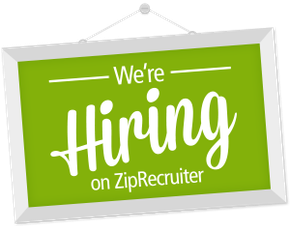 Do this and you will have years of fun and reliable driving. And driving is what these cars are about. Whether you want to go fast or slow, the 129-chassis SL will take you there. The traction control system is amazing, keeping you from ever getting into trouble yet still letting you attack corners at will. While these cars lack a manual transmission, you will be grateful for the automatic during your first traffic jam. The automatic is also "shiftable" thanks to the excellent Mercedes-Benz gate. The 300SL and 320SL models are a bit slower and the 600SL is a bit faster, but the smart money is on the 500SL series. These offer more performance and almost equal economy to the 300-series cars, with close to the same performance as the V12 engine found in the 600SL. While not true sports cars, the 129-series SL models are world-class GT cars that really put the "grand" in grand touring. The 300 SEL 6.3 might be the first sports sedan ever built. Though heavy, it is capable of speeds in excess of 130 mph and quarter-mile times under 15 seconds. Not only does it perform well, but it has an amazingly smooth ride, much more like a Bentley than a BMW M5. These civil manners are thanks to the air suspension used on the car. It automatically adjusts for changing conditions, allowing the car to not only drive smoothly but also handle respectably for a vehicle of its size and age. The steering is power-assisted and gives tremendous road feel, making this a relaxing and enjoyable car to drive. The interior adds to the experience with leather seats that are comfortable for long drives; although they seem a bit soft at first, they easily have enough support for more spirited driving. All this does come at a price, though. The suspension system is incredibly complex, and the average competent home mechanic should not even think of getting a wrench near it. Only someone who is familiar with this system should work on it, so be ready to pay top dollar to have it done. An air suspension rebuild on one of these cars can cost in excess of $5000--and not many people are even qualified to do the work. On top of that, you have that 6.3-liter V8 engine. While it's a lovely engine, it also has an appetite for fuel; parts prices can also be incredibly expensive. Think Ferrari V8 rebuild prices and you are in the ballpark. Fortunately, the engines have proved to last a very long time when properly maintained and should not offer many problems. On a sadder note, though, these cars are known to rust--and rust a lot. Buying a rusty 6.3 is a definite mistake, as extensive repairs will easily cost more than the price of a solid example. West Coast cars are your best bet. Do not buy the best car you can afford; instead, buy the best 6.3 you can find and be happy at the thought of the money you will save later. No sedan built during this time period even comes close to this model's performance, luxury and quality. Road & Track subtitled their 1968 road test of the 300 SEL 6.3 "Merely the greatest car in the world," and we would happily agree. This is the spiritual successor of the old 6.3 sedan, as if Mercedes-Benz had assembled the same design team and asked them to build a similar car for the 1990s. The designers were free to use the most advanced technology and there was no cost limit. When the car made its debut for the 1992 model year, the price was north of $80,000. 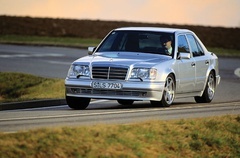 The company took the most reliable and developed sedan in the Mercedes-Benz lineup at that time, the 300E, and handed it over to a joint design and engineering team from Mercedes-Benz and Porsche. The end product has to be the ultimate sleeper Mercedes-Benz: There is no AMG badging or wild ground effects bodywork to be found on the car, just flared fenders, wide tires and an E500 emblem on the trunk lid. Those who fall for the sleeper act will be more than surprised by the car's incredible performance, including a quarter-mile time of less than 14 seconds and a top speed that is electronically limited to 155 mph. Add to the equation tremendous handling limits and a ride that is as smooth as any other Mercedes, and what you have is an exotic car that just happens to have four doors. It's the kind of car that Michael Schumacher might take out for a family picnic. How did Mercedes, a usually subdued company--remember, this car is from the pre-AMG era--create such a creature? 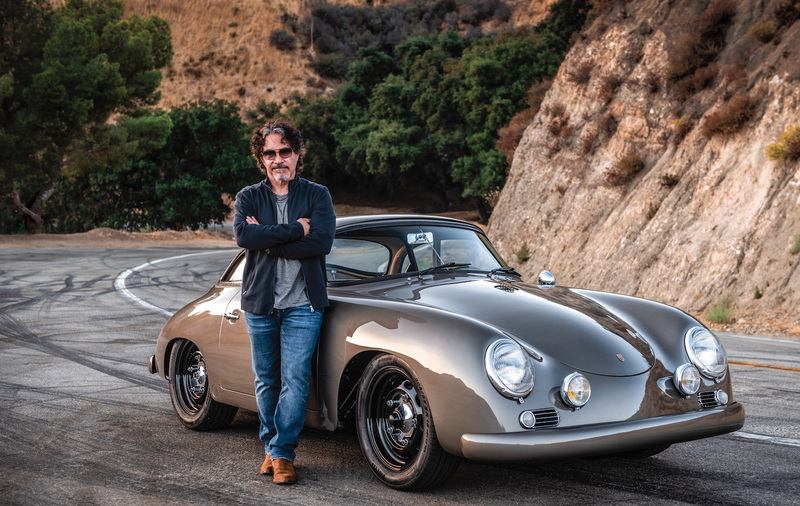 As you might have figured, their friends at Porsche had a big hand in the project. The 500E was worked on in the same shop and by the same people who built the 959 supercars. The quality shows through. Porsche designed, built and assembled all the performance replacement parts for the 500E. The engine was from the 500SL, and Porsche did the work to make it fit. After Porsche had finished their work, they sent the car back to Mercedes-Benz for final assembly and paint. What emerged is the car you see before you. It's a perfect partnership of luxury and performance, and one of the greatest sports sedans ever built. Like the 300 SEL 6.3, this is a very advanced automobile, so buying a poorly maintained car can easily empty your bank account and run your credit cards to their limit. Look for a car that has all its maintenance records, and as with the rest of the cars discussed here, get a prepurchase inspection done by a qualified Mercedes-Benz technician. If you find a babied model, the cars are pretty much bulletproof with no inherent problems to speak of and little worries about rust. If you are looking for a true bargain exotic car and need four doors to haul the family around, then an E500 is just the ticket. Don't forget the 190E 2.3 16V What a fun car to drive plus room for the kid, dog, wife, AND room to carry spare parts for the Morgan and the Cooper! Am I assuming a deep cover personal water craft attack here. One post on an article that can't be linked to from 08 then several non sequitur responses from now? Don't think so, Adrian, they are putting the articles in a new format such that they appear like forum posts. It was part of the last update I think. Now we can comment on them like they were OPs instead of like articles. And I'd love a 190 Cosworth, thanks. I don't think that 230 SLs are really all that affordable anymore either. I'll wager that a cheap Benz could get pretty expensive very quickly. Been there done that. It's impossible. 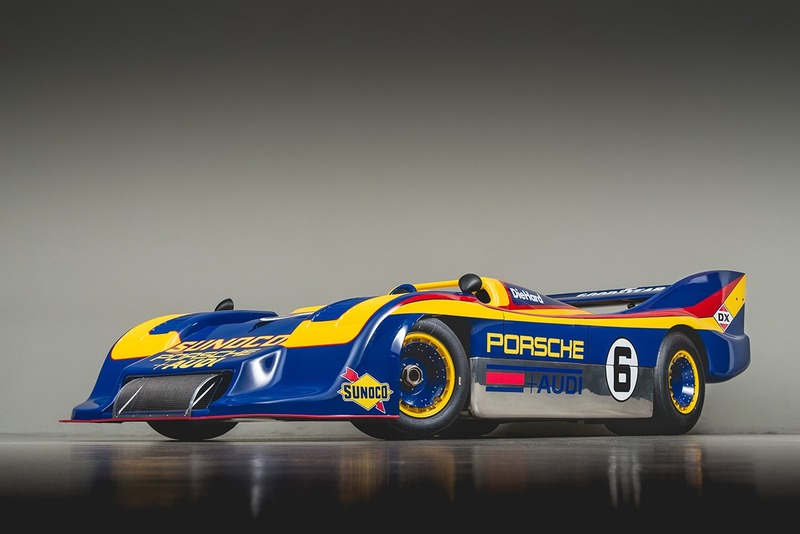 Seriously though...... you can still buy 107 chassis cars ( SL 1971- 1988) cheaply. Drive them, enjoy them, and sell for more $$ in a few years. Just don't buy a $500 POS that needs a ton of work. You can find a VERY nice 560sl for under $20K. This is a car that will increase in value, and you can enjoy it while you wait for the "bubble". Early small bumper cars are already jumping in price. If you like these---- get one now! Andy, you wouldn't happen to have a Benz up for sale now would you? Is the article posted? I tried searching the Classic Motorsports site and couldn't find it. In the meantime, here's the article. Thanks! I've been thinking I needed something that's better at carrying around Mrs. Mad Scientist and our two kids than my current E36 BMW convertible for occasions when we don't want to take her Camry. That article might give me a lot of bad ideas. Early ones had British made cylinder heads. I guess that they took them in house after a couple years. I've always liked those. The wing and body kit are so dated looking now. Pretty tacky today, but in a fun way. That was around the time Penske got a couple guys to quit Cosworth and leave with a sack of GM money to compete with Cosworth, but before Mercedes Benz replaced the sack of money and got their name in place of Chevrolet on the Indy Car valve covers. Most MBs are too much like grown ups cars to me. Nice, but with very few exceptions, like the 190E Cosworth, they do not even tick my car-lust meter. I've always heard the earlier Benzes pre-Chrysler inquisition were all very well built beasts. All pre-1990 sport lights make my want list for cars I can afford to both buy and drive without losing money. Love me a pagoda roof but note sure I need to go that early. I've had a grey market, 77 450SLC for over 10 years now. Bought for $1500, put another $5k into paint and body work. 245 HP, aluminum block, Bosch fuel injected, DOHC, no smog parts, autobahn gearing. It's no sports car at 4300 Lbs but it is a great GT machine. Although I love my Triumphs, the Merc is my go to car for trips with friends. Routine maintenance parts, like brakes and filters are easy to find and no more expensive that "regular" car parts. One of my boys used it for the Prom, made quite an impression on his date's parents (worried about the size of the back seat). I'll be keeping this for a few more years I'm sure. Never understood the love of the SL. First, they aren't SL. They mainly came autotrajic. And weren't sporty by any means. Mildly unreliable, love to rust and parts are costly. If you love the looks, great. Just don't buy one looking for a sports car. They just aren't. No, they aren't a sports car. I also never understood the SL moniker, as they are pretty darn heavy for such a small car. The love comes from the fact that these may be the best built cars ever made. They are so ridiculously solid, they impart a sense of well-being as you drive them. It's hard to explain, but the quality of construction puts you at ease. They are a very, very comfortable place to spend time in. The 450 and 560 cars also have an abundance of torque--- these are not slow cars. Unreliable isn't a word I'd associate with them either. If they are well-looked after, they can run for hundreds of thousands of miles without much trouble. No--- not a sports car. But as a relaxed, classic cruiser that is easy to drive, own, and enjoy. They are hard to beat.....especially for the price. I've always been a sportscar guy, and I never had any love for these either. Then I had one fall into my lap at a ridiculously low price--- $2,500. After 6 months or so of ownership I really developed an appreciation for the "Panzer Wagen". I still like a hard-edged sports car, but for a classy cruiser that is bound to appreciate. These are a good choice.